Our global missions network is comprised of sports missionaries and ministries that spread the Gospel around the world through sports outreach. 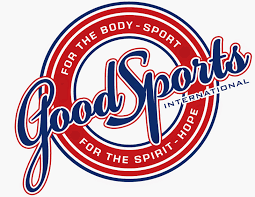 To become a global missions partner, please use the form on the Contact page, and we will be happy to bring you into the ministry family of RAM Sports Network. To find out about getting involved on missions trips, or to connect with any of our missions partners directly, just click on their logo. You can also become part of our Global Missions Network by donating directly to the RAM Sports Network. Please designate your gift as " Sports Missions". ​All funds collected are used exclusively for producing sports ministry programming. ​Even with sports’ capability to unite, there is only one true source of reconciliation. There is no divide too great for the Gospel to bridge, even sports rivals.All In Sports Outreach exists to share the hope and power of the Gospel of Jesus Christ and promote unity and racial reconciliation. EYG, Inc. is a unique program committed to helping all youth excel, with the additional focus of helping at-risk youth break the negative cycles perpetuated in many impoverished areas. through sports, recreational and educational activities. The mission of Sports Outreach is to recruit, train, equip and deploy committed Christian leaders in the proper use of sports ministry for the purposes of sharing the Gospel and alleviating human suffering. 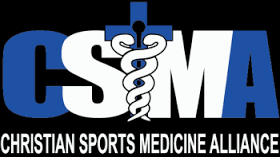 Christian Sports Medicine Alliance is a one of a kind ministry that will give you the opportunity to share your skills around the world and bring hope to a world that needs to hear of our Savior Jesus Christ. Sports Medicine is a profession that gives you a one on one, hands on experience, to a group of people that can truly make an incredible impact in their world. Sports Medicine transcends all language, racial, and cultural barriers. ​Our vision is to see a day when there are Christ-followers on every team, in every sport, in every nation. Breakaway Outreach is about family. It’s about restoring dignity to broken, hurting, and distressed families. It’s about missional families joining together in Christ’s ministry of reconciliation to help others find their place in God’s family, and to find their redemptive purpose in the world. CSI runs sports and educational programs in suburban, urban and rural communities both locally and around the world. We teach children sports skills, life skills, healthy life styles and the good news of Jesus Christ through an innovative approach so they may have the chance to become the best of the best. ACTION SPORTS OUTREACH, EVANGELISM, AND DISCIPLESHIP.